Lee Raines (left) wrote the final Bare Essentials reading in our Festival series, Rick and Ricky. Read on to learn a little more about Lee and the play we’ll be seeing tomorrow night! I grew up in the suburbs, of Washington DC. In 1977, a year after graduating from the Univ. of MD, I moved to New York City, and worked in the theater as a performer for about 15 years and then took a corporate marketing job at Time Inc., where I worked for over 20 years, managing to keep active in various theater projects. Since retiring from Time Inc., I’ve thrown myself into playwriting and have returned to my first love, the theater. Over the last several years I’ve been living in Philadelphia and Atlanta. On my first move to Atlanta (2011-2013) I joined Working Title Playwrights and then re-joined when I returned in 2015. My Georgia roots run deep. My Mom, Dad, and entire extended family hails from Turner County in central South Georgia. Some readers might be familiar with a giant peanut by the I-75. That’s Turner County. Currently, my husband Drew and I live in Tyrone, GA, where we are raising our teenage niece, Meredith. The play is a comic love story set in New York City during the onset of the AIDS crisis. Rick and Ricky are completely infatuated with each other but soon realize they don’t agree on anything. They break up, but remain close friends. The AIDS crisis disrupts their lives and intensifies their relationship, testing the limits of their love. The character of Ricky is based on a real person, Ricky Varetta, who died in 1985 due to complications from AIDS. He was an astonishing, unforgettable person, especially his deep belief in the power of forgiveness. 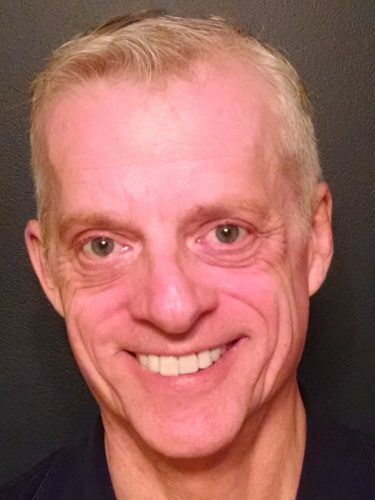 I’m a long-term survivor, and having lived through the AIDS crisis in New York City in the 1980s, I feel an urgency to tell the stories of what I experienced. I can’t imagine writing a play without staged readings, especially a comedy. Audiences tell you the truth. Which means I’ll hear the jokes that don’t land, (painful!) or parts where the story starts to sag or gets confusing. When the words are still on the page, playwrighting can be deceptive – everything makes sense to me. When an audience is reacting in real-time, hearing the words, it’s a healthy dose of reality. I’ve heard most of the scenes in the first half of the play in front of a live audiences during Monday Night Critique Sessions at WTP, and have rewritten much of the play based on the feedback. But this is the first time I’ll hear the entire piece, the first time actually working with a director and actors – it’s a whole new level in the process. The play is at the right point for a reading. I need to find out if and where the train falls off the tracks. Being chosen for the Bare Essentials reading series is thrilling and terrifying. I love the encouragement, who wouldn’t, but everything suddenly became real. I haven’t had a rehearsal yet, but meeting with Ryan and Amber, discussing the script, and the pressure of a reading has already sharpened and intensified my writing. I wrote and produced a benefit for Broadway Cares/Equity Fights AIDS at the Laurie Beechman Theatre in NYC last March. The show sold out, raised a lot of money and there were two idols of mine, Chita Rivera and Moises Kaufmann, in the audience. I’m developing material from that show. I also performed in another BC/EFA benefit, the Easter Bonnet Competition at the Minskoff Theatre last April, fulfilling a life-long dream to dance on Broadway. I’m also putting the final touches on a one act comedy that takes place in a church parking lot. The working title is “Church Parking Lot”. Rick and Ricky will be read at the West End Performing Arts Center on Wednesday, August 23, at 7:30pm. Directed by Ryan Oliveti. All readings are free and open to the public, donations gladly accepted. Art on the BeltLine auditions THIS SATURDAY!